After having spent quite some time at home over the last few weeks, Justine and I decided to take this weekend and head to Seattle for a little break. We took off Friday afternoon directly from the office, and headed south towards the boarder. Sadly, the traffic heading over the boarder was pretty heavy, and we had close to an hour's wait. Good thing for Yahtzee on the iPad! After getting though the boarder, it was smooth sailing all the way down to Burlington and out first stop. 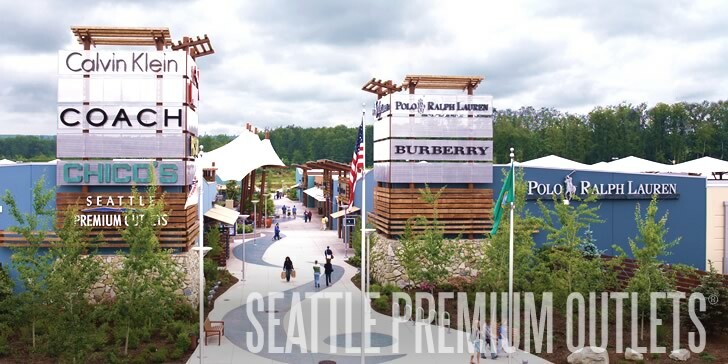 One of the primary purposes for this trip was for both of us to do a bit of shopping at the Outlet Malls just north of Seattle. Our first stop was at Costco and the Burlington outlets. Justine picked up a new camera at Costco, but neither of us had much luck at the Outlet stores. After this first bit of shopping we had some dinner, then it was a short drive down the interstate to check into our hotel for the night. There's a very large Outlet Mall at the Tulalip Casino, and our hotel was pretty much across the road. We got checked in, then headed over to the casino to have a couple of drinks and relax for the evening. As it turns out, Justine has a bit of luck with the slot machines - the big spender turned $6 into $40 on the penny slots while we sat at the bar having a couple of drinks. It was pretty funny. About 10:30 she headed back to the hotel and I stayed to play some poker, making a small profit on the evening myself. Saturday was a bit of an all-out shopping day. We started about 10:00 and went strong until almost 4:00 p.m. I needed a new suit for work trips, and as usual, spent way more than Justine did. Some of the deals were just too good! I was pretty much wiped out by the time we left, and the car was bursting at the seams! Our hotel in Seattle was ideally-located, right downtown on 1st, steps away from Pike Place Market. It was a little complicated to get into, but we found our way eventually, and go settled in and unpacked. Justine had a very specific restaurant in mind for us for dinner, but we wanted to wander around a bit before hand. Our first stop was the roof-top patio of the Hard Rock Cafe, which provided great views over the market and a bit of the waterfront. There was some odd pub crawl going on, with lots of people dressed up for the evening. We had a drink and enjoyed the sunset before heading into Belltown, another of Seattle's cool neighborhoods. Between bars, we came across this amazing furniture store - Urban Hardwoods - that makes tables and other furniture from single pieces of wood. They have some of the most amazing pieces I have every seen. Very expensive, as you would expect, but beautiful. The next bar that we stopped at was pretty funky, if empty at this point of the night. We had a couple of drinks before walking back into the core of downtown, and heading to our restaurant - Wild Ginger. It's an Asian fusion place, with great atmosphere and even better food. We found a bottle of wine from one of our favorite wineries in Oregon (Brooks Winery), and had an amazing meal. After dinner, we stopped to listen to some live music at a bar around the corner, before calling it a night. We were both pretty wiped out after a long day. Sunday was more of the same. I went for a run in the morning while Justine slept in, then we had some breakfast and checked out. We wandered over to the market to see the action, marvelling at the fish, produce and flower markets. All are better than Granville Island for the quantity and quality of the products on display. The flower particularly seemed very inexpensive for the quality and quantity. After browsing the market for a while, it was off to do more shopping in the main shopping district. We hit a few of the big stores had some lunch at this cool French cafe, then did a bit more shopping. I was pretty much done at that point, so we headed home with one quick stop at the REI flagship store before the long drive home.